Late summer is upon us! Blackberries and rose hips are ripe, the landscape is very dry, squirrels are already starting to gather up cones, and everyone seems to be busy getting in one last summer gathering or camping trip before autumn sets in. Here at Twin Eagles, we're celebrating our most successful summer ever and getting ready for all of our school year programs. Take a look! School Year Programs 2017-2018 - Registration Now Open!! 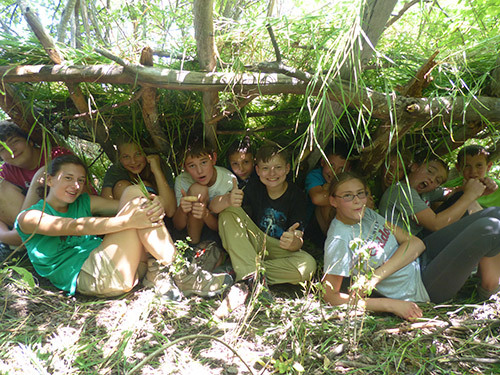 Twin Eagles Wilderness Adventure Summer Camps were a huge success this year! It is hard to believe that two and half months have gone by so quick, yet filled with so many timeless moments of connection. In the end, we had 280 kids participate in 13 week long summer camps, supported by 238 staff! Wow!! Nature Adventurers Day Camps were some of my favorite camps of the summer. 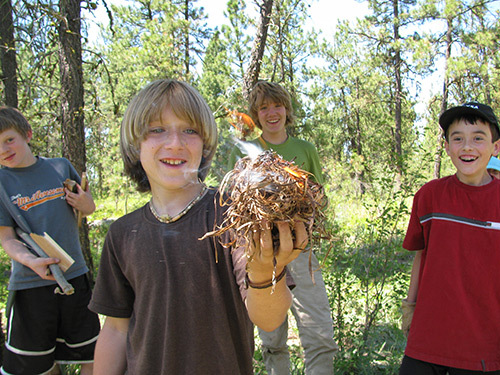 We ran one of these day camps in both Sandpoint and Spokane each, and they were chock full of beautiful moments of nature connection. Think catching crayfish in the river, climbing trees, spotting hidden nests of quail, plovers, flycatchers, & robins, finding hidden fawns in the tall grasses, playing TONS of fun nature games (that secretly connect the kids even deeper to the land), and making real connections with plants and trees through natural crafts, foods, and medicines, just to name a few. 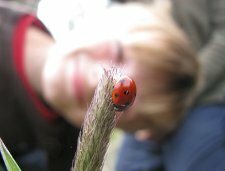 This journey of exploring natural mysteries is in many ways the heart of what we do here at Twin Eagles, as we guide the kids (and ourselves) to experience the truth that we are nature. 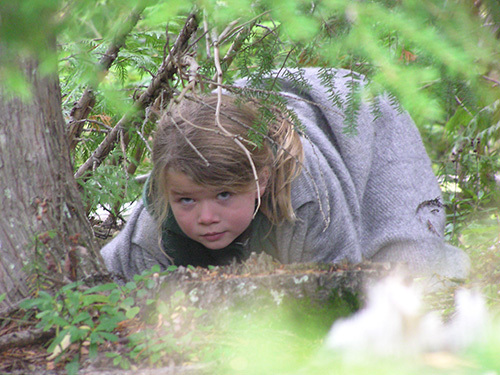 Wilderness Survival Day Camps are always our most popular camps. This summer we ran five of these camps, two each in Sandpoint & Spokane, plus one is Coeur d'Alene, which was our first program EVER in CdA! We just have SO MUCH Fun at these camps! 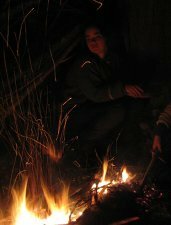 I mean, who wouldn't love building warm and dry natural shelters, making fire by friction via rubbing sticks together (yes, it really does work! ), harvesting clean drinking water from wild places, digging & eating wild roots, berries, leaves, flowers, & bugs, as well as learning primitive hunting methods like rabbit sticks and simple traps and snares. These camps put us in direct relationship with our basic needs as humans, and are thus incredibly empowering and liberating. Nature Ninjas Day Camps were a total blast! We ran three of these camps, as kids were covered from head to toe in mud, charcoal, and clay for just about the entire time. We spent lost of time learning the art of natural camouflage, then playing long games of capture the flag as ninjas. We taught the kids responsible and safe stick fighting, and brought out the old teachings that ninjas were actually peacemakers first, protectors of the tribe. Real skills, real fun, real life teachings. Overnight Camps were, once again, some of our favorite weeks of the entire year. We ran two of them, one for 10-13 year olds and another for teens. Talk about deep connection. When we all come together and actually live together full time for a week or more, something big shifts. We embrace village life, and thus embrace an embodied interconnected way of living. As far as activities, imagine all of the above, plus kids that are more capable, and NIGHTTIME! Campfire stalks, village craft nights making flex bows, cattail baskets, grass mats, rawhide containers, & primitive traps, gratitude circles, crazy fun games, tons on natural mysteries, timeless sit spots, sleeping in primitive shelters, morning runs, lots of animal encounters (we even had a mama cedar waxwing raise her babies in her nest just a few feet from our main lodge! 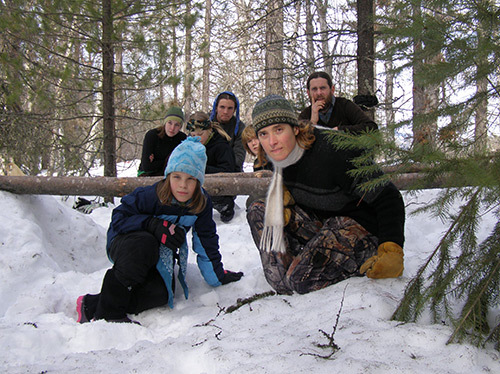 ), small groups going out on their own overnight survival challenges, and, for the teens, wilderness survival solos that brought them into profound connection with the land and themselves. We reconnected with what it means to be fully human, and there were many tears when it was over, as it seemed that no one at all wanted to leave. Our Amazing Staff were the engine behind all of these wildly successful camps! And I really do mean amazing! We had seven teen Mentors-In-Training support our camps this year, including Nathen Peck, Berta Savage, Oscar Angell, Selah Keller, Razi Schmidt, Anthony Loutensock, and Cooper Luce. These teens went above and beyond the call of duty, as they stepped into genuine responsibility as they worked to inspire campers and bring big fun. Twenty-one(!) adult assistant instructors joined us this summer, including Becky Bellis, David Kletter, Brad Schwartz, Lisa Krause, Val Burgess, Krysta Bell, Jessica Steinruek, Vilma McDaniel, Heidi Montez, Bridgit Pies, Kayton Gomez, Erin Decker, Amiste Sanders, Dean Whitney, Ann Freeman, Mark Hayward, Dave "Norseman" Williams, Kathryn Morris, Dane Morris, Jeremy Schlottig, and Heather Ross. These folks brought their big love for nature and people to our camps, providing huge support as they deepened in their capacity to mentor campers. Our lead instructors were the strongbacks of our summer camp culture. 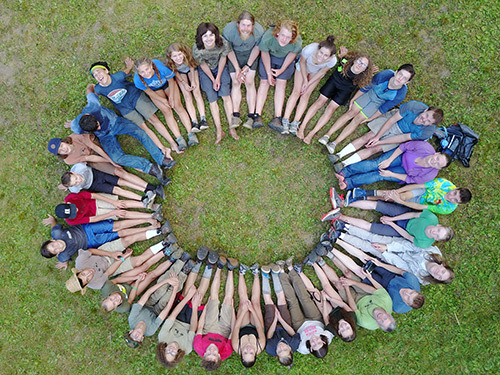 Jesse Hoag, Karen Pogorzelski, Petra Murdoch, Calean Angell, & Matt McKinney each gave of themselves tremendously as they led group after group of kids hungry to connect with nature on a true journey of the heart and soul. Our overnight camps were blessed with delicious food prepared by Chris Arigo and Jenn Head. These two served amazing food as they tended the heart of our camp, our kitchen. Lastly, we'd like to honor Joshua Walters again who joined Jeannine and I (Tim) as a camp director this summer. Indeed, leadership is one of the quickest paths to self mastery. We are deeply grateful to all of these wonderful human beings who made our summer camps possible, and hope that you'll join us in this appreciation! "I wasn't aware of what I was getting myself into when I reached out to Twin Eagles. Coming from Las Vegas, NV, I was initially in search of personal growth but what I received instead was a sense of purpose, meaning, direction, and a confidence and depth inside myself I hadn't known before. It wasn't personal growth I received, it was personal transformation. With the mentorship of Jeannine and Tim, I have come to know myself and the world more authentically. The impact I feel I've made on the community as a volunteer staff will never leave me. I not only learned the basics of wilderness survival, but I've learned how to inspire others through full wilderness immersion, how to teach important concepts through storytelling, and how to truly connect with the natural world by experiencing the value and wisdom that it holds at every turn. My experience with Twin Eagles has inspired me to discover how to use what I've learned to make a difference in my own community." Dirt in Your Skirt Podcast interviews Jeannine Tidwell! 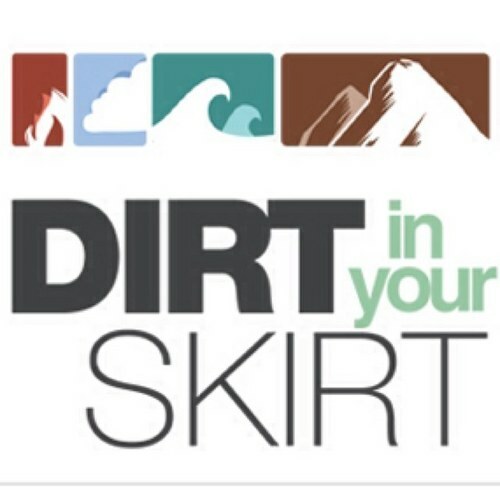 We're excited to announce that Twin Eagles's co-Founder & co-Director Jeannine Tidwell was recently interviewed on the Dirt in Your Skirt Podcast! This podcast has a good sized following, so it was a real honor to be featured. The conversation was a rich exploration of Jeannine's work mentoring women, the divine feminine, the importance of rites of passage and how they are missing for most of our society today and how we can reclaim them. If you haven't listened yet, be sure to check it out here!